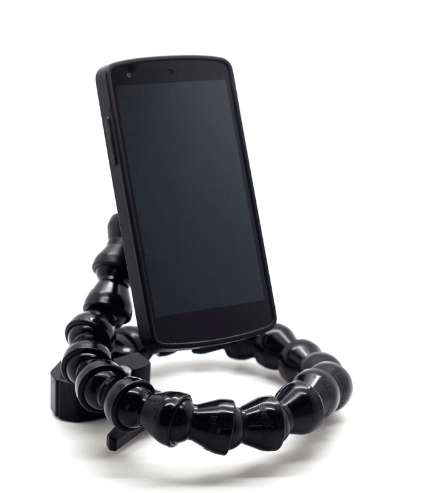 Tecla Phone Mount is a flexible, quick-release mounting system for your smartphone. It works on flat surfaces and with the tubing of a wheelchair. This is the professional solution for mounting your handset on your bed, wheelchair, working table or wherever else you may need it. The phone mounting plate comes with an industrial-grade Dual-Lock fastener. For this reason, we recommend to not attach the fastener directly to your phone, but to use a hard case or shell instead. 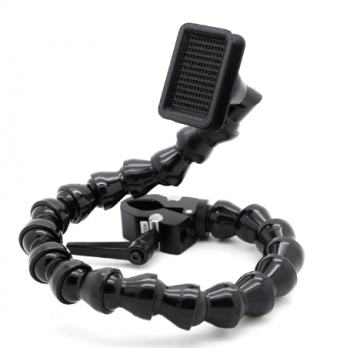 The Tecla Phone Mount can be securely mounted on any tube or flat surface ranging from 0.5″ to 1.4″ in diameter.